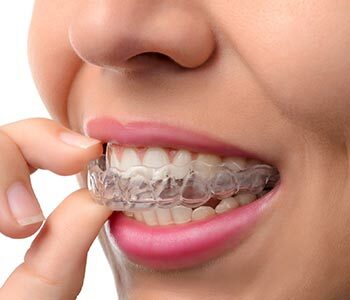 Millions of adults would like to have the confidence of straight teeth, but don’t relish the idea of living with a mouthful of noticeable brackets and wires for a few years. For these individuals, Invisalign® could clearly be the solution. Bingham-Lester is a certified Invisalign® provider for Gambrills, Crofton, Annapolis, Bowie, Baltimore, and the greater Washington DC area. Dr. Bingham-Lester takes a computerized scan of your mouth to gather intraoral data. Using CEREC® Ortho Software, she designs digital models. These models are the basis for creation of clear aligners that move your teeth into proper position. The digital models also let you see your treatment plan; what your teeth will look like at each phase and when you are done wearing Invisalign®. Treatment consists of a series of aligners. You wear each set in the series for about two weeks, before switching to the next set. Most patients adapt quickly to speaking and drinking water with the aligners in place. They are removable, so you can take them out to enjoy eating normally, and to keep your teeth sparkling clean with regular brushing and flossing. It is important to wear the aligners at all other times, for efficient treatment. While each patient is different, a typical Invisalign® treatment plan is 15 to 18 months. If Invisalign® is a good choice to achieve your cosmetic dentistry goals. Invisalign has expanded their offering. Once, this method was only an option for mild to moderate misalignment. Today, Dr. Bingham-Lester uses Invisalign® for situations from mild crowding or spacing issues to complex cases. Invisalign® aligners are crystal clear. Most people won’t even realize you are straightening unless they look closely. Treatment is comfortable. There is no sharp hardware poking your soft tissues or rubbing sore spots in your mouth. There are no challenging wire tightening appointments – just check-ups about every six weeks to monitor your progress. There is minimal risk of damage to tooth enamel from cemented brackets. 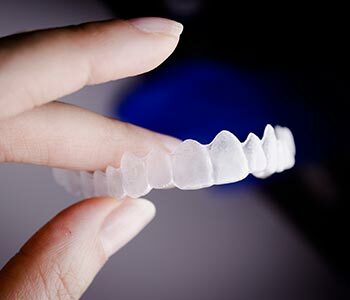 Since the aligners are removable, you are able to maintain good daily hygiene, and regular cleanings at Bingham-Lester Dentistry, so risk of tooth decay is reduced. Dr. Bingham Lester encourages you to consider Invisalign® for the gorgeous straight smile you’ve dreamed about, without the embarrassment of conventional orthodontics. Take advantage of a complimentary consultation to determine if Invisalign® is a good choice to achieve your cosmetic dentistry goals. The number is 410-885-6522. Kimberly W "Dr. Bingham-Lester and her staff are fantastic. They make sure I knew the risk/return of each procedure recommended, helped me improve my dental hygiene, correct an improper root canal that was done by a previous dentist, and enhanced my smile through Invisalign. I would definitely recommend her to others in the area."